When a client asks if we do big prints (to which we say ‘yes’ of course) we can never be sure just how big they have in mind. So when Agile Marketing asked if we could produce bespoke printed wallpaper, big enough to cover whole walls, we got quite excited… and said ‘yes’ again. 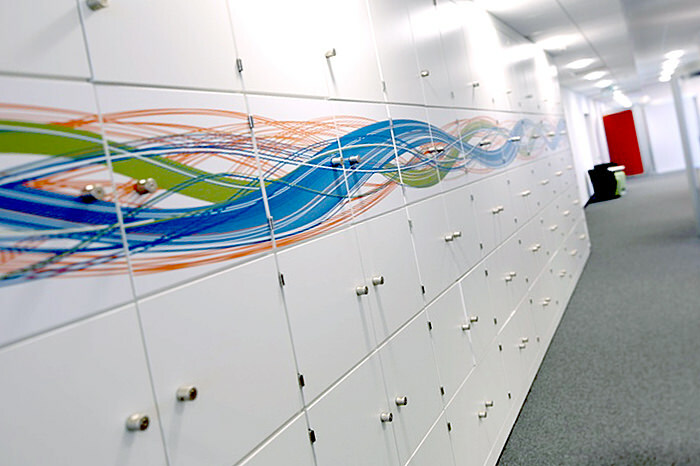 This was for their client, Space-pod, who had designed and refurbished a building in Krackow, Poland, as a new call centre. 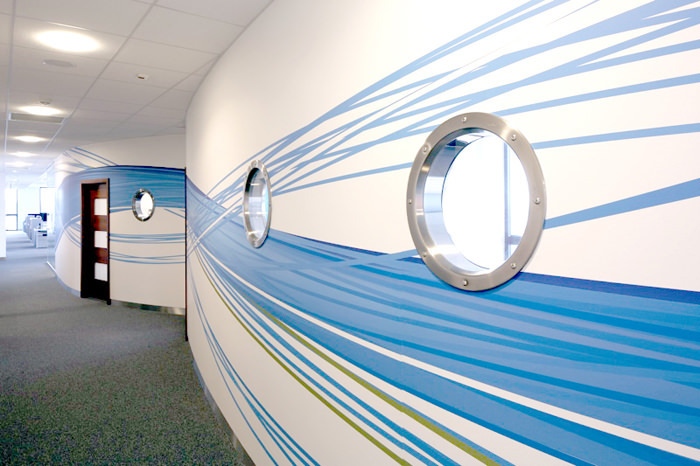 Virtually every wall, on several floors, needed to have a graphic covering and we produced nearly 300 sq metres of smooth, hard wearing, wallcovering, printed with the client’s designs, and all at breakneck speed to meet the deadlines. It was to be hung by their own staff with specialist adhesives so we had to be sure all the graphics (up to 12 drops per wall) matched for size and colour. We’ve done one of our walls at GGS, for you to see, and we could even be considering the lounge at home – might need some input from the management* though!